In February of this year, I was asked about the key marketing trends for social media in 2015 for a leading news site. Q: What’s the state of social media marketing in 2015? Some are saying it’s lost its glamour. In 2014, we saw an alarming crisis of faith in Social Media Marketing (SMM). Facebook changed its display algorithms and organic reach dropped to nearly zero for many brands. Despite their deeply-held beliefs in the abilities of social as a mechanism for customer relationships, many social teams were caught off-guard by the crash in organic reach and weren’t fully supported by paid social budgets. Consequently, content struggled to reach fans, and some hard-won social communities actually shrank in size. But this should be a momentary blip. Worldwide, SMM continues to be seen as not only a priority, but a necessity to a strong overall marketing mix. Marketers in a June 2014 study by Gigaom & Extole showed that social budgets would get bigger boosts than any other channel budget. And in an October 2014 poll by Harris/Nielsen, 88% of respondents said Social provided an important competitive advantage. With nearly one-quarter of the world’s population now active on social media†, marketers will absolutely continue to advance social efforts in 2015. Q: What’s the most critical skill required for social media success? Now that paid social budgets are a requirement for content reach, social teams will ask for larger budgets in 2015 – and fortunately for them, new software tools will provide much more scalability in ad buying and more accountability in social performance. We’ve created one here at Mediabrands, called Performly, and already clients are snapping it up – showing there’s a real need to prove social success in a more meaningful way. All this automation, though, will require overworked marketers to either take the time to learn highly-technical software platforms, or to outsource paid social to agencies as they did with listening platforms between 2009-2011. Q: What role are agencies playing this year? Has the relationship changed between agency and client? Clients have been bringing most social tasks in-house for 2 years now. Community management, social creative, listening; all have largely been established within client social teams, hurting many agencies. Simultaneously, agencies, which typically possess strengths in orchestrating efforts across channels, are struggling to keep talent from bleeding to software plays, social networks and client teams. It’s a challenging situation for agencies – but it also provides an opportunity to really stand out. One key position has been missing from many social teams on both sides of the table: the Social Strategist. Many clients haven’t invested in the role — and it shows in “meh” campaign results, as well as frequent disconnects between social campaigns and high-level business goals. It’s a bit like hiring a pilot and asking them to create their own flight plans. Sure, you can do that, but wouldn’t you want to leave that to an expert minding all the planes in the sky and letting you know how much fuel you’ll need to reach your goal? Agencies who can monetise social strategists and tie those efforts to business KPIs will retain business and will help clients justify their investment in outsourced strategy. Q: What about software tools? Are they important? Tools are absolutely essential for social marketers. First, they provide overworked digital teams with the ability to scale measurement and reporting. Increasingly they also automate community management, content management, content curation and syndication. Investing in a great suite of social tools means more thorough monitoring of social activities as well as fewer employees engaging with larger audiences. We’ve seen both consolidation in the software space as well as new startups popping up constantly. Stunningly, new listening platforms continue to debut, even though that category is quite mature. We’re also seeing some great platforms that combine listening with content and community management. For example, Adobe has combined a number of key features to create a very solid social publishing, listening and campaign management platform. They had strong momentum in 2014 and I predict that as clients become more aware of their feature set, their sales will grow throughout EMEA. In the field of paid social ad management, the number of Facebook-approved “Strategic Preferred Marketing Developers” (“sPMD”) has grown. Kenshoo’s social platform in particular seems to have made big inroads this year by giving social teams access to Facebook inventory. Q: What’s going on in Italy? 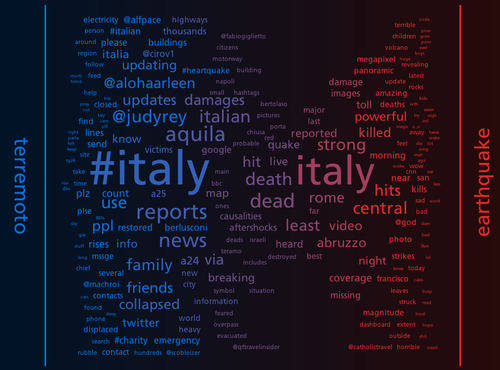 How is Italy different when it comes to social media marketing? Perhaps unsurprisingly, food, fashion, e-commerce and beauty brands dominate social conversations on Facebook. Telecom and tech brands like TIM, Vodafone and Lumia draw the biggest Twitter flocks, while on YouTube, beauty brands like PUPA Milano, KIKO Milano, Garnier and L’Oréal attract millions. When compared to other major European markets, Italian marketers have yet to discover YouTube as a social marketing channel. The top 20 brands only have an average five YouTube video posts. This is a missed opportunity. For example, we recently ran a media study of the market value of the top five most-viewed videos for a major Italian auto manufacturer. Our Performly platform calculated the earned media value of those five videos equaling €1 609 000 in marketing impact and consumer resonance. This is an important point. When a brand does social well, it doesn’t just generate fans. It inspires those fans to create touchpoints, positive sentiment, trust and impressions around the brand’s content. With its iconic brands, Italy is poised to demonstrate huge impact in social video. And new tools are able to prove that impact better than ever before. Q: Anything else you’d tell clients about months ahead? This is a time of major transition for client social teams. As the expression goes, “the bloom is off the rose” on social. The hype is gone and the practice has become a mature paid media practice just like TV, radio, outdoor, etc. That doesn’t mean it’s become boring or lost its ability to create marketing magic – it just means that data science is just as important for social success as creativity, storytelling and engagement skills. The industry is growing up. Think of it like a smoking-hot, bad-boy/bad-girl 20-something person you married. Now that they’ve matured, they’re still hot – but they can also balance a chequing account and stay on top of paying the mortgage. Just like a maturing marriage, social still requires commitment, enthusiasm and trust – from both clients and agencies. †”Worldwide Social Network Users: 2013 Forecast and Comparative Estimates,” eMarketer, June 2013. ††Social Bakers, “January 2015 Social Marketing Report (Regional)”.